Besuchen Sie vier Boutique-Weingüter von North Canterbury bei einer halbtägigen Weinprobe mit optionalem Mittagessen. Wenn Sie Christchurch verlassen, werden Sie eine hochwertige Auswahl an Weinen in der aufstrebenden Weinregion Waipara probieren, einschließlich Stopps in der Pegasus Bay, den Waipara Hills, den Torlesse Wines und den Waipara Springs. Erfahren Sie von einem sachkundigen Führer über Waiparas einzigartiges Terroir, während Sie eine Auswahl an hervorragenden Rot- und Weißtönen genießen. Gönnen Sie sich einen halben Tag Weinprobe entlang der Waipara-Weinstraße, die für ihr warmes, trockenes Klima und kalkhaltige Böden bekannt ist - ideal für den Anbau erstklassiger Trauben, die einige der typischsten Weine Neuseelands hervorbringen. Nach der Abholung mit dem Bus von Ihrem zentral gelegenen Hotel in Christchurch bringt Sie Ihr Guide nach einer 40-minütigen Fahrt nach Waipara, einer der aufstrebenden Weinregionen der Südinsel. 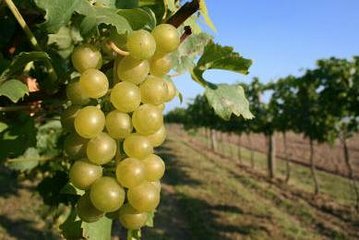 Besuchen Sie Keller und Verkostungsräume bei geführten Touren durch vier Boutique-Weinberge in North Canterbury und probieren Sie eine unverwechselbare Auswahl an Rot- und Weißweinen (siehe unten). Genießen Sie ein Mittagessen mit frischen, saisonalen Gerichten, die gut zu Ihrem Wein passen (wenn Sie die Option wählen), bevor Sie das Hotel in Christchurch absetzen. Unsere Waipara Wein-Pfadetour war eine absolut empfehlenswerte Veranstaltung. Flexibilität beim Ort des Abholens im Zentrum von Christchurch war schon außergewöhnlich gut, aber die Tour selbst zu den vier ausgewählten Weingütern mit sehr gutem Lunch beim ersten Weingut gab uns einen exzellenten Einblick in die Vielfältigkeit der produzierten Weiß- und Rotweine. Die Gruppe war mit 10 Teilnehmern gerade richtig, wir hatten ausreichend Zeit, keine Hetze und konnten richtig gut genießen. Tolle Truppe, die wir hatten und von Anfang bis Ende eine tolle Veranstaltung. 5 Sterne - müsst Ihr machen. Superb views, superb wine and expertise. We thoroughly enjoyed the day, with the humour and the expertise displayed by the owner and producer at Torlesse. We also had the privilege to meet Dennis at Waipara Hills who took the time to Educate us a little about wine tasting and transmit his expertise. In all four locations, the surroundings were superb however, as it was a rainy day, we could not enjoy the views as we would have liked to. 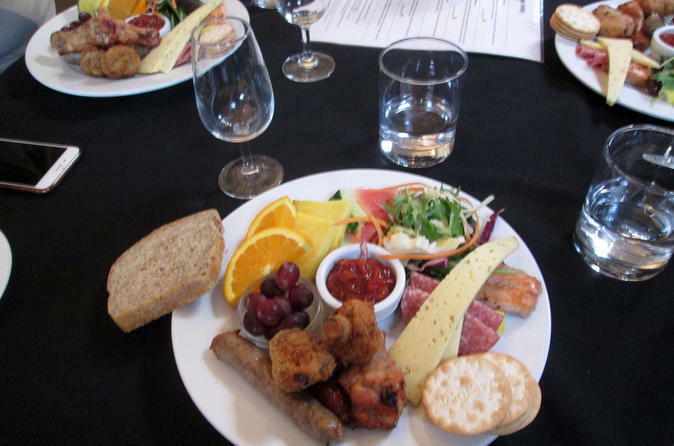 The lunch at waipara springs was excellent and copious. Friendly, informative driver and guide. A good of wineries, smaller to larger. Tastings were well conducted and the wines generally quite good. Gardens at Pegasus were spectacular. Only one thing I would recommend - an option for a lighter lunch or none at all if so desired. Sue, Our driver, was excellent, She was informative, and her stories were great......too bad it was her last day, you lost a good employee. We took this tour in April 2018. We booked the day before, but there was no conformation from the company, and we had to call to make sure it was happening. There was apparently an option for a vegetarian lunch, but we didn't see anything about it when we booked, and the winery where we ate wasn't flexible at all. I think the options could have been a bit clearer. Our guide was more of a driver, and he didn't provide any information about New Zealand's wine industry. We felt rushed, and one winery had to cut our tasting short because the driver wanted to go. At one point, we came back from the washroom, and he was driving away with the door open at least he stopped so we didn't have to jump in. Overall, this is more of a shuttle service between wineries, and we felt the price was a bit high for what we experienced. I've seen some of the same concerns in other reviews, so I don't think our experience was unique. It wasn't awful, just kind of disappointing. We wouldn't recommend the tour. Nice tour of 4 wineries. The meal was incredible. Our tour guide, John, was a little crabby with us even one of the wineries asked us what the deal was due to us spending too much time at the wineries. The problem was that he failed to tell us the timeframes for each stop. No worries, it was still a fun experience. Great tour and definitely a fun way to spend your afternoon in Christchurch. Sue was amazing! On a Saturday during the summer, it was only me and another lovely gal that were able to experience the Waipara region. It was a blast. Sue was very helpful in telling us to be sure to stay hydrated and be eating snacks along the way. Highly recommend this tour! Great way to spend an entire afternoon. Guide knew a fair bit, but at each stop, you had a true expert detailing their wine. Interesting people within the group, and it simply made for a great day.